Firestone Building Products Company LLC is featuring its newest formulation of polyiso insulation at the American Institute of Architects Conference on Architecture (AIA) April 27-29, 2017 in Orlando, Fla. According to the company, the new formulation is equipped with the highest R-value per-inch in cold temperatures. The Firestone polyiso offering includes ISO 95+ GL Insulation, RESISTA Insulation and ISOGARD HD Cover Board. Show attendees can learn about the new insulation at Firestone Building Products booth 1613, and can also see the company’s self-adhered offering, Secure Bond Technology. Secure Bond Technology is a factory-applied, pressure-sensitive adhesive that ensures coverage across the membrane and establishes one of the strongest bonds possible. According to the company, it significantly outperforms liquid LVOC adhesives and has no Volatile Organic Compounds (VOCs), making it safer for building occupants and the environment. The Secure Bond Technology liner is also non-hazardous and 100 percent recyclable. Firestone Building Products currently offers UltraPly TPO SA and RubberGard EPDM SA with Secure Bond Technology. AIA attendees will also have a chance to take home a Bose SoundLink Mini Bluetooth Speaker II at the Firestone Building Products booth. Firestone Building Products Company, LLC, announced the company’s top firms that earned the 2017 Master Contractor award. This highly regarded award program recognizes the most outstanding contractors in the commercial roofing industry. These top-tier companies are among the top 5 percent of Firestone Building Products Red Shield Licensed Roofing Contractors and were selected for their exemplary installation, quality of work, and customer service. The Master Contractor Program recognizes three levels of achievement: Silver Master Contractor, Gold Master Contractor, and Platinum Master Contractor. Firestone Building Products offers these three categories to recognize increasingly-difficult levels of accomplishment. In addition to these three levels, Firestone Building Products also recognizes Master Contractors with the highest level of quality installations with the Inner Circle of Quality award. All Master Contractor award recipients were selected based on total square footage installed and quality points accumulated for outstanding inspection ratings on systems covered by the Firestone Building Products Red Shield Warranty. 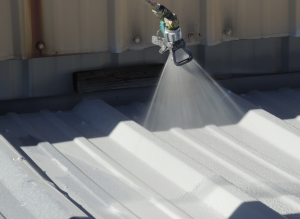 Those include: RubberGard EPDM, UltraPly TPO, asphalt and metal roofing systems. In the sustainability category, the program recognizes Firestone Building Products SkyScape Vegetative Roof Systems and SunWave Daylighting System. Please visit the Firestone Building Products website for a complete listing of Master Contractors. Polyiso insulation is environmentally-friendly and requires 85 percent less embodied energy to manufacture. 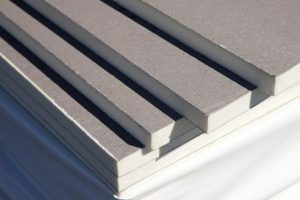 Firestone Building Products Company LLC has introduced its new formulation of polyiso insulation. Fewer inches of polyiso translates to cost savings for building owners. A 500,000 square-foot roof can equate up to $40,000 in savings. Polyiso is environmentally-friendly and requires 85 percent less embodied energy to manufacture. 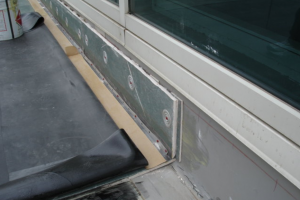 Polyiso can also be recycled and reused, while mineral wool cannot. The Firestone polyiso offering includes ISO 95+ GL Insulation, RESISTA Insulation and ISOGARD HD Cover Board. Secure Bond Technology is a pressure-sensitive adhesive that ensures coverage across the membrane and establishes a strong bond. This technology installs up to five times faster than traditional fully adhered applications and allows installation in temperatures as low as 20 and as high as 120F. 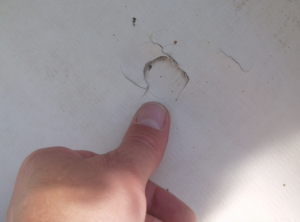 Secure Bond Technology’s self-bonding membrane eliminates the need to apply adhesives and wait for flash off. Additionally, Secure Bond Technology has no Volatile Organic Compounds (VOCs), making it safe for the contractor, building occupants and the environment. The Secure Bond Technology liner is also non-hazardous and recyclable. Firestone Building Products currently offers UltraPly TPO SA and RubberGard EPDM SA with Secure Bond Technology. Firestone Building Products Co. LLC, a manufacturer and supplier of a comprehensive “Roots to Rooftops” product portfolio, announced the 263 firms that earned the 2016 Master Contractor Award. The top-tier companies were selected from a network of more than 3,000 Firestone Building Products Red Shield Licensed Roofing Contractors for delivering exemplary installation, quality of work and customer service. Master Contractor Award recipients were selected based on the total square footage installed and quality points accumulated for outstanding inspection ratings on systems covered by the Firestone Building Products Red Shield Warranty. 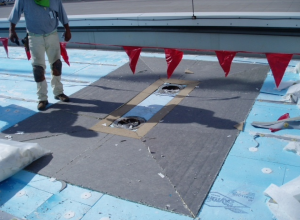 Those include: RubberGard EPDM, UltraPly TPO, asphalt and metal roofing systems. Master Contractors were also eligible to earn points in the sustainability category. The program recognizes Firestone Building Products’ SkyScape Vegetative Roof System and SunWave Daylighting System. Firestone Building Products Co. LLC, a manufacturer and supplier of a comprehensive “Roots to Rooftops” product portfolio, recognized 133 firms across the U.S., Canada and Mexico with the 2015 Partner in Quality Award. 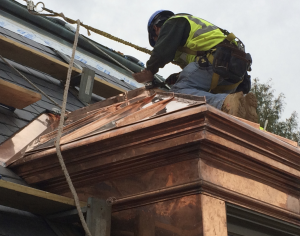 The annual award honors an elite group of Firestone Building Products Red Shield Licensed Roofing Contractors for a high level of craftsmanship and the skill set required for superior roofing installations. Install a minimum of eight warranted roofs in 2014, and four warranted roofs per year for each of the prior four years. Please visit the Firestone Building Products website for a complete listing of Partner in Quality Award Winners.